November 21, 2013 (San Diego) – San Diego Gas & Electric (SDG&E) is continuing to alert customers to be aware of an ongoing wire fraud that has been targeting SDG&E residential and business customers. Reports indicate that individuals are misrepresenting themselves as utility employees by calling customers and threatening to turn off electric and gas service if an immediate payment is not made. Customers are instructed to purchase a pre-pay credit card, and are directed to another phone number where information is then obtained from the card and the cash value is then removed. March 12, 2013 (San Diego) – If you are a struggling homeowner, you have undoubtedly been approached by companies that claim they will reduce your mortgage payments and/or your mortgage balance by negotiating a ‘loan modification’ with your current mortgage lender. All of these companies claim to be reputable and licensed, and many even operate as attorneys. They typically charge $1500 or more to handle this process, and most offer payment plans. 2- Proposed "Good Faith Estimate Disclosure"
May 16, 2012 (San Diego) -- San Diego Gas & Electric (SDG&E) is alerting customers to be aware of a scam that has impacted other utility customers in several states across the country. 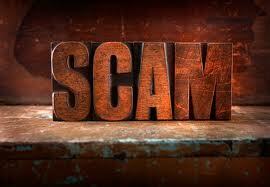 The scam claims that President Barack Obama is providing credits or applying payments to utility bills. In some cases, scammers have asked for social security numbers in order to allow for credits or to apply payments to customers’ utility bills, presenting an identity-theft risk. According to reports, scammers have visited customers in person, posted fliers and used social media and texting to send messages claiming that President Obama will provide a credit or directly pay utility bills. February 24, 2012 (San Diego) -- The Internet Crime Complaint Center (IC3) continues to receive complaints from victims of payday loan telephone collection scams. As previously reported in December 2010, the typical payday loan scam involves a caller who claims the victim is delinquent on a payday loan and must make payment to avoid legal consequences.